Selling your motorbike in Brisbane ? Time to upgrade for a bigger, better and faster model? Need some cash in your pocket? Are You Selling is the name Brisbane residents rely on when they need to get rid of unwanted motorbikes. Forget about annoying time wasters, low ballers or the hassle of trying to get that road worthy certificate, leave all the hassle and stress to the expert team at Are You Selling. With over 35 years’ experience buying used motorbikes, you can trust us to get the job done, fast. Wherever you are selling your bike in Brisbane, we’ll come to you! As long as your bike was manufactured after 2004 and has done under 160, 000kms, you’re set to go! Like what you hear? We offer payment before collection, within 24 hours – no questions asked! So fill out our form or get a quote and sell your bike in Brisbane today! Australia's top motorbike buying service! Here at Are You Selling, we're always buying from people asking 'can someone, anyone please buy my bike in Brisbane?' 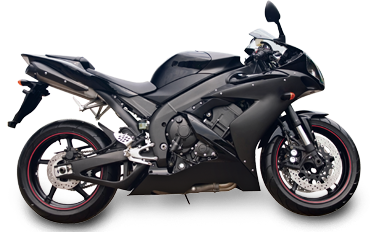 We're also renowned for offering the best possible price for your motorbike. We eliminate you worrying about anything because trying to sell your bike privately costs you money and wastes time. It also exposes you to the risk of some test-driving stranger damaging your bike, tedious paperwork, and other bike selling annoyances that come with the process. Don't be fooled into thinking that private selling always gets a better price for your bike. Our bike valuations service costs you nothing, and lets you find out what your bike is worth. You'll go from saying, 'I want someone to buy my motorbike in Adelaide' to, 'I can't believe I sold my motorbike so fast'. It really is that quick and easy.